After weeks of hunkering down under baggy jumpers it’s time to come out of hibernation and melt your winter waistline. Whether your challenge is to reduce the obvious, jiggly type of fat or tackle the hidden, visceral fat beneath, you need to exercise! By starting now, you will have a summer-ready body and give yourself a feel-good boost until the warmer weather comes. HOW DO I KNOW IF I’VE GOT TOO MUCH FAT? Generally, if your waist measurement is above 31.5 inches (women) or 37 inches (men) you probably need to take some action to reduce it. Also, take a look at how much body fat is healthy. However, if you just lose weight or measure your BMI you don’t know if you’re losing weight all over your body, or just on the surface. The location and type of fat is really important. Deep abdominal fat – visceral fat – is particularly dangerous as it wraps around organs and affects the whole body, leading to inflammation, diabetes and heart disease. Scientists are now seeing fat less as an inert substance that simply adds bulk, and more as an active organ that can have very real, damaging effects. Studies show that a combination of approaches is the best way to reduce belly fat and potentially prevent these diseases. 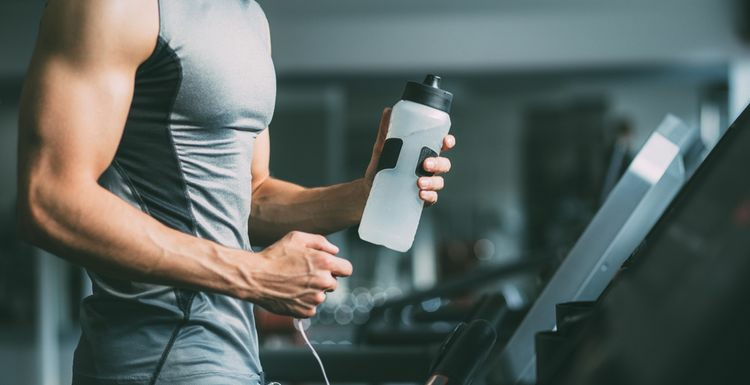 Exercise is particularly effective: a recent study of visceral fat in 3,602 people compared exercise with medicine to find out which best cut visceral fat and exercise was the clear winner. Remember spot reduction doesn’t work. Instead, do high intensity cardio workouts such as spinning classes, interval training, kettlebell workouts and sprinting. Just half an hour of these will kickstart those fat-burning hormones into action. Firstly, avoid the fad diets and get clued up on healthy eating. Next, avoid starving yourself as this will only make you more likely to binge later. Eat plenty of good fats, and pack your diet out with ample protein and fibre which will help fill you up. Wholegrains over refined carbs hardly needs to be mentioned, and stock up on foods which are reported to help shed belly fat. no fad diets, eat properly and get moving - wise advice. Sadly I am guilty as charged, got a bit of a shock with the buttons the other day so time for action. I used to be slim but the 'winter fat store' has definitely crept on and it is not good. Thanks for encouragement, I WILL sort it! I'm the same - slim but worried about fat that might be inside. How do we know??? It's a definite prompter for keeping up my runs and gym visits. That visceral fat stuff really scares me as I am slim but worry about what's going on inside! So it's part of my motivation for doing HIIT workouts, as I read they are the best workouts for getting rid of this fat.